How much is Zhang Li Worth? 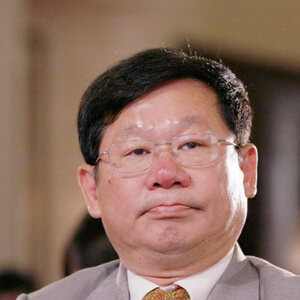 Zhang Li Net Worth: Zhang Li is a Chinese entrepreneur and billionaire who has a net worth of $1.9 billion. Currently serving as President of the Fuli Group, he amassed the majority of his wealth through his massive real estate investments. Born in Guangzhou, Guangdong, China in 1953, Li first worked in a textile factory before landing a position in the local government. By 1988, he went into the constructional industry and even developed his own real estate business. He invested 3.2 billion Chinese Yuan in Beijing in 2002 and has continued his investments there to fit the demands of the Beijing 2008 Olympic Games. Thus, Li has developed a long cooperation with the Hong Kong-based businessman LI Silian. Most recently, he has seen a chief growth of his net worth thanks to the strong performance of Guangzhou R&F, the real estate company he co-chairs with Hong Kong billionaire Li Sze Lim.